Regardless of shifting generational trends, 21 is still a magic age, when we generally say someone is no longer a child. The Economy of Communion in Freedom (EoC) celebrates its 21st birthday against an economic and cultural backdrop sorely in need of adult-size perspectives and solutions. During a visit to Brazil in 1991, Chiara was moved by the circumstances of the people, including Focolare members, living in the shantytowns that surround Sao Paulo. Reflecting with the community on how to respond to these needs, the idea of launching a new economic model emerged. EoC businesses would generate jobs and commit to a three-part division of their profits: direct aid to people in need, educational projects to help foster a “culture of giving” and continued reinvestment in the business. There are now 797 such businesses, most of them small and medium-sized; a few have more than 100 employees. Much has changed in these 21 years — including the forms of poverty that it aims to address. Our world is plagued not only by the misery of the slum conditions, but by many kinds of social and economic marginalization. 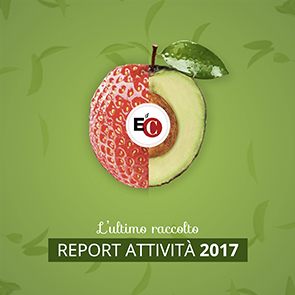 The call, Luigino Bruni notes in an August interview, is for the EoC to maintain “creative fidelity” to its roots and the substance of the project. It is also time, he notes, to move into new environments. “The EoC was born for the poor — not for writing books,” Chiara once reminded Bruni, a prolific author. In fact, in its first stage, the project aimed to promote inclusion of the poor by building reciprocal relationships with the poor, so that all might experience authentic communion. Bruni suggests that a goal for the next stage should be “productive inclusion.” “Exclusion in the workplace is the first form of exclusion in society. It is only by working that people are able to escape from poverty.” While job creation has been on the EoC’s radar since its inception, helping the poor to actually work in businesses will be an important focus for this next stage of EoC development. For example, Dalla Strada Cooperative in Brazil — meaning “from the street” — is one response to unemployment in northeast Brazil (dallastrada.com). Adulthood also brings a growing sense of responsibility to the next generation, together with an awareness that young people have, as Bruni puts it, “a different way of living in the present.” Summer schools and workshops focused on their perspectives and contributions have already been held in America, Europe and Africa. “We need to welcome the contribution of young people not in a paternalistic way, but as an alliance for the future,” he says.